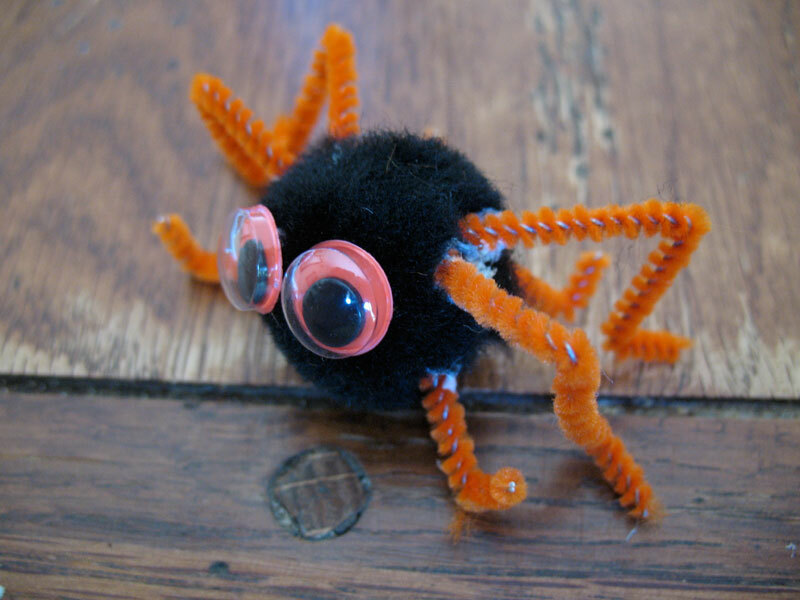 Children can create spider rings out of pom poms and chenille stems (pipe cleaners). 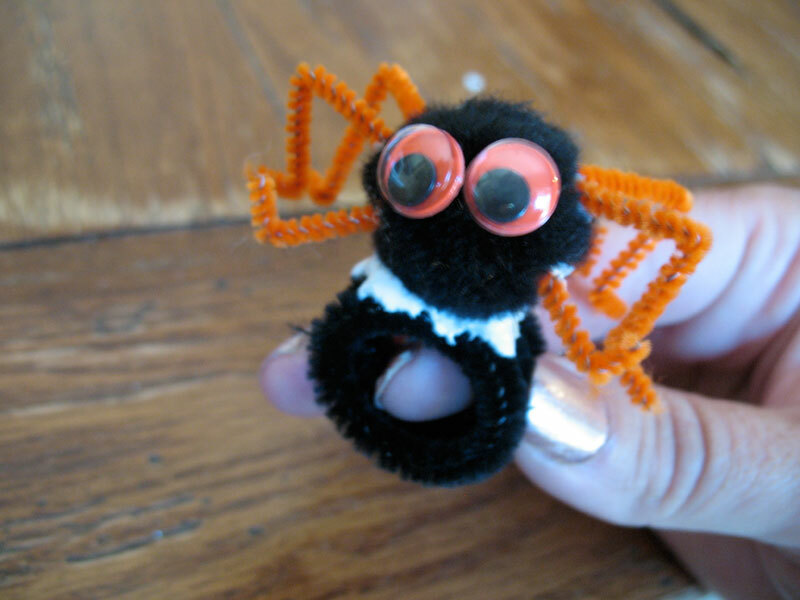 Aww this cute little spider doesn’t look creepy at all! 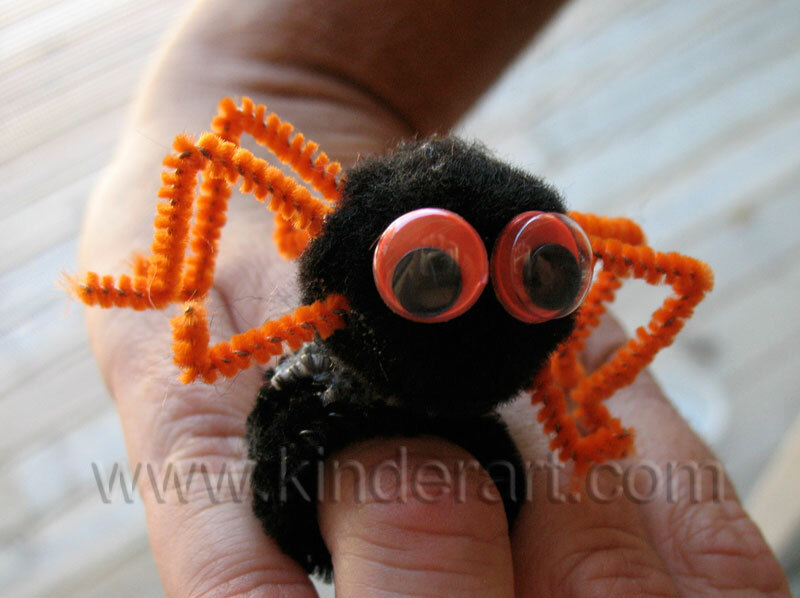 Change the colors, number of legs, or even the size wiggle eyes to customize this spider ring just for you! 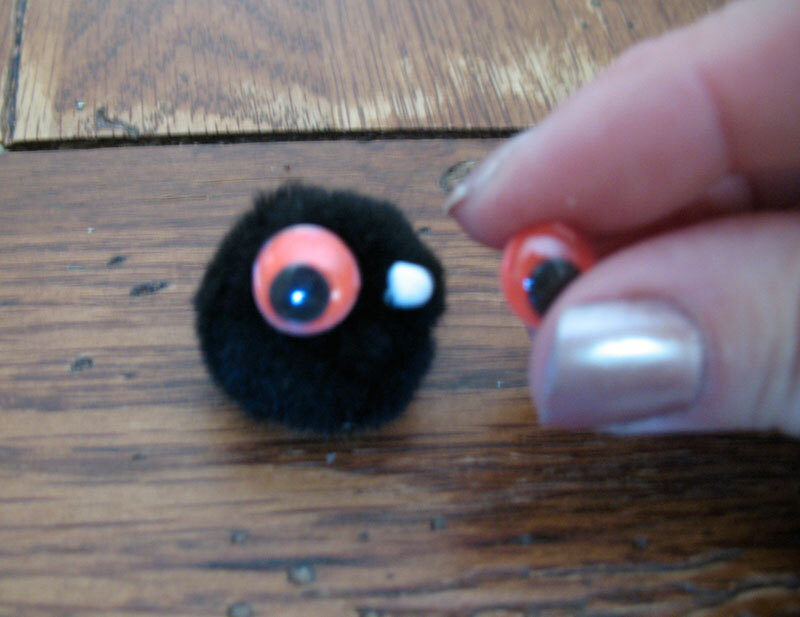 Glue the wiggle eyes onto the black pom-pom and set aside to dry. Meanwhile, cut the skinny orange chenille stem in half. Cut each half into three equal pieces; you should have six pieces all together. Cut two of those pieces in half for a grand total of eight (4 long, 4 short). Bend each of the longer pieces in a 90 degree angle, then bend the bottom of one end just a little to create a foot. For the smaller pieces, just bend the ends to create a foot. 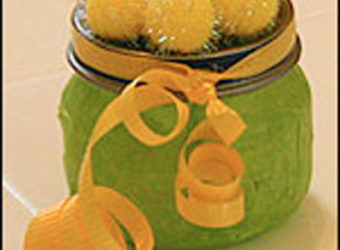 Glue the legs to the pom-pom and set aside. 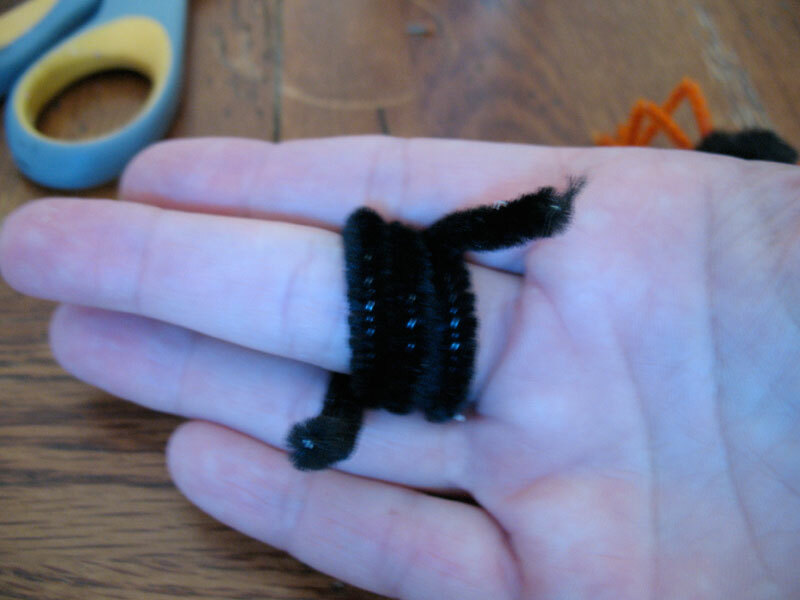 Wrap the black chenille stem around the finger you want to wear your ring on. Twist the two ends together. 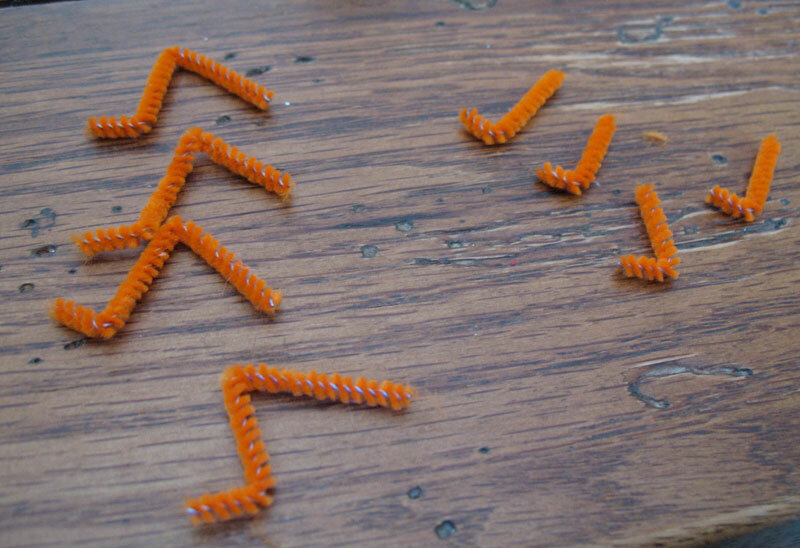 Glue the spider onto the twisted ends to hide them. 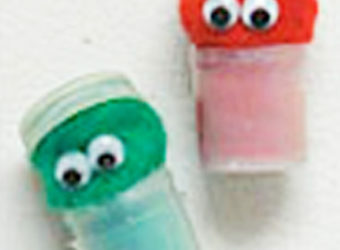 Tip: Colored wiggle eyes are available at your local craft supply store.